Final day of the event, ‘Save River through Song’, was held on May 10th, 2017. The final two events were held in the same day. The morning event was held in Wiseghat, Dhaka. And, the afternoon event was held in the VIP Terminal of Sadarghat Port. 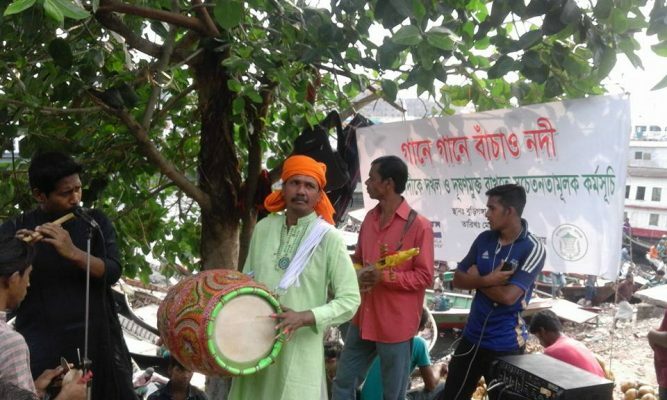 Similar to the previous settings, Buriganga Riverkeeper along with the cultural group named, ‘Rangmohal’ were gathering people along the bank of the river to inform them about river pollution and encroachment. 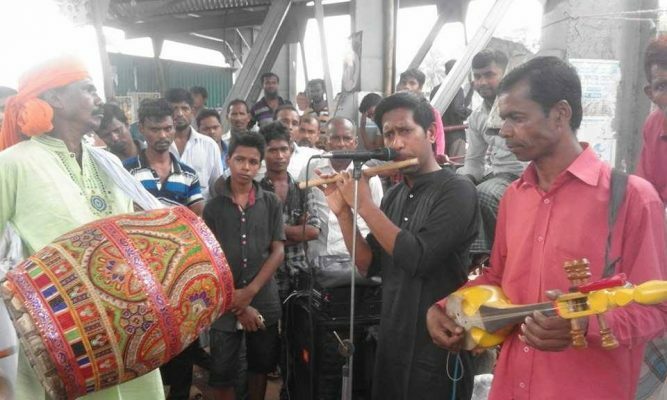 Later that day, ‘Rangmohal’ put out their best efforts as it was their last performance of the awareness programme. 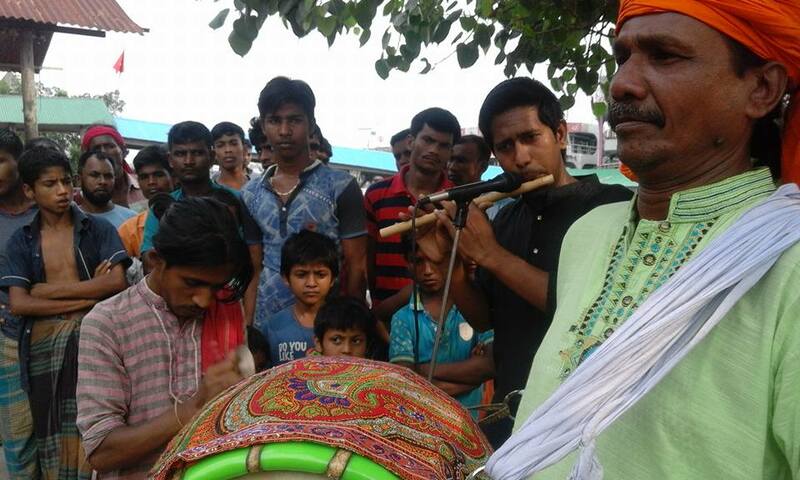 Band leader and eminent Lalon Researcher, Mr. Hirak Sardar requested the people residing near Buriganga to be cautious of illegal encroachment. He gave them explanations on how to fulfil their individual responsibility towards saving the Buriganga. He highlighted that it is our moral obligation to stop contributing to further pollution. He concluded the event demanding necessary measures from the government to fight against illegal polluters and encroachers. The public responded with applause and the glorious event, ‘Save River through Song’, came to an end with the hope for a better Buriganga in the near future.